The IBCC’s Digital Archive is now live! 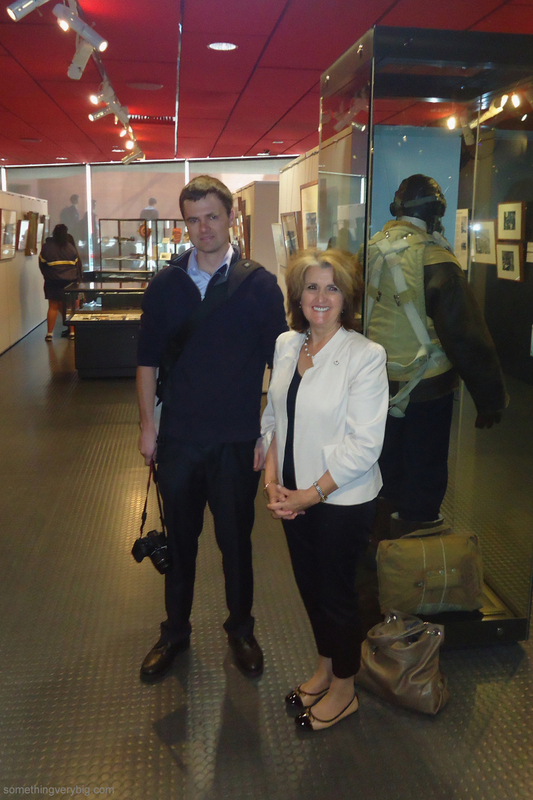 For every hour of recorded audio, I was told recently, it takes the team of staff and volunteers at the International Bomber Command Centre’s Digital Archive about sixteen hours to prepare it for publication. First it has to be transcribed. Then the transcription is reviewed. Then descriptive metadata is added, and finally the item is ready to be uploaded into the archive itself. By my rough calculations, I recorded about 40 hours of audio during my 27 IBCC interviews. So that’s about 640 hours of work that I created for the poor volunteers. Twenty-six and a half days, and that’s if they don’t sleep. Or eat. Or go for a run. Or do anything else except sit at their computers listening to my interviews. It’s been a mammoth undertaking. There are now more than one thousand oral history interviews in the collection – consisting of 1,049 hours, 43 minutes and three seconds of audio, to be exact – and over 225,000 individual items, including the interviews as well as scans of photographs, documents and letters. More collections are being added every week. And the good news is that as of today, the Archive is now, finally, available for public access. I was lucky enough to get a sneak preview when I visited the Archive offices, in the University of Lincoln’s facilities at Riseholme Hall, an old manor house just outside Lincoln, in June. I’ve also had advance access for the last month or so as a usability tester. I’m really impressed with what I’ve seen. Only a small subset of the collection is currently available online: a little over 5,000 items or about 3% of the total. I’ve watched that number increase from about 3,500 or so in the time I’ve had access. More material is being added on a daily basis. I’m told the Archive staff have been pulling 12-hour days in the lead-up to the launch to get as much as possible loaded before it officially went live. At the moment this means that a lot of the really awesome tagging and cross-referencing won’t realise their full potential, but once a critical mass of material is reached this is going to be one very useful source of information. A lot of this usefulness comes from the detail in the metadata that is attached to every item. As well as the interviews, every letter and document will eventually be transcribed. This makes them searchable down to the individual page, which is extraordinary for an archive of this size. The metadata that’s been added allows grouping of related items by (for example) their spatial coverage (where in the world they relate to) or their temporal coverage (ie the time period that’s covered). Where possible, items are geolocated. This includes wartime aerial photography, which, astonishingly, has been overlaid on a modern interactive map. I don’t even want to think about how much effort it took to make that little party trick work, but it paid dividends for me immediately: there’s a bombing photograph, for example, that was taken during the 10 May 1944 Lille raid from which my great uncle Jack failed to return. I’d never seen one before. And this is the other great strength of this Archive. It is made up, almost entirely, of personal material collected from participants and families of participants. That Lille target photograph comes from the collection of a WAAF who served at RAF Skellingthorpe. In many (most?) cases, this material has never before been seen outside of those families. There are no official records – those can be found in other places. This collection is about the personal, the stories of the individuals involved, that together chart the course of Bomber Command’s war and its aftermath. Combine that unique material with very powerful search tools and free, worldwide access, and you have something that will be one of the most useful collections of unpublished Bomber Command material anywhere. 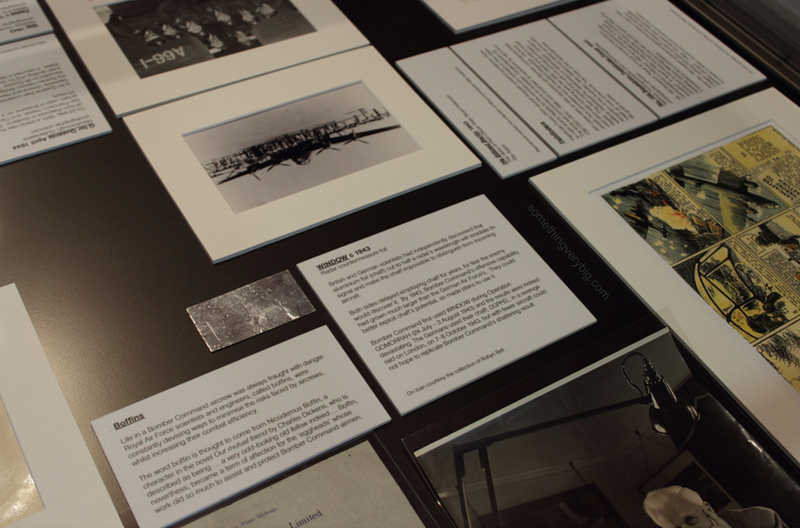 The IBCC’s Digital Archive, developed in partnership with the University of Lincoln, can be accessed here. Go have a look! In the central Queensland town of Emerald recently, a lady named Margaret Rawsthorne, a researcher at the Emerald RSL, heard a story about a box of papers belonging to a local man whose grandfather had served at Gallipoli in WWI. Mark Murray, a surveyor, had no idea of what was in the box – and the discovery was so interesting that it led to a small story on ABC’s 7.30 programme in January this year. Murray’s grandfather, James Nicholas Murray, was a soldier in the infantry when he was sent to Gallipoli in 1915. But when his commanding officer discovered that he was also a licenced surveyor, he was asked to apply his trade to mapping the network of trenches and tunnels at a particularly significant strategic point of the peninsula, a place called Russell’s Top. The diary entries of the adventures he had while carrying out this work are interesting enough. But along with the diary were notes and maps which have provided the most detailed information yet about exactly what was at Russell’s Top. “The Russell’s Top handover report […] basically says that Russell’s Top is one of the most important lines of defence. 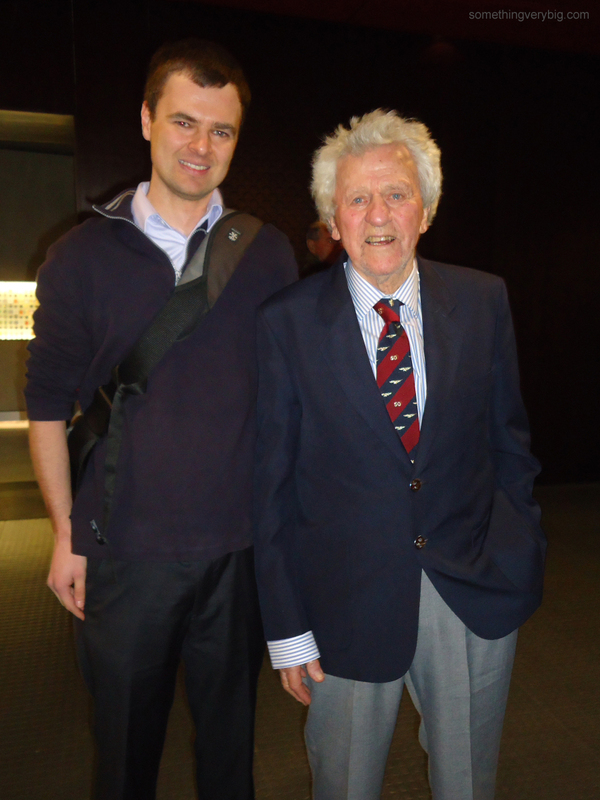 It said […] it doesn’t have any second line, and if that line is lost, then ANZAC is lost,” said Rawsthorne. How often do we hear of this sort of story? A long-forgotten box of papers gathers dust in someone’s shed or attic. Simple curiosity or a chance remark somewhere leads to someone opening the box and discovering a veritable gold mine. Probably the most famous discovery of recent years was the glass plate photographs of Australian and British soldiers discovered in a French attic in 2011. I’d suggest that this discovery in Emerald is of a similar significance. And while not necessarily of national importance, smaller finds can be just as useful for family or researchers interested in a particular time period, unit or even individual. The boxes lie undisturbed until the elderly relatives die and their house is cleared by the family (which is where the McAuliffe Letter came from), or until a chance remark reminds someone of their existence (or a letter arrives from someone like me – as happened to Gil Thew). Happily, as in each of the cases above, much of the time when boxes like these come to light the discoverer contacts the Australian War Memorial or their local RSL (or even gets straight onto Mr Google if they are interested themselves to find out something about what they’ve found). But sometimes people do not realise what they have found and the documents are thrown out or destroyed. This is likely why we have so little documentation relating to my great uncle Jack Purcell. This year being the Centenary of ANZAC, I suspect a few more dusty boxes will be coming out of the woodwork before too long. I can only hope that whoever discovers a box of papers like these realises the significance of their find. The internet has revolutionised how people research and share information about just about anything you can think of (and, probably, lots more you can’t). The history of Bomber Command, and particularly where the individual story of a relative or friend is included, is certainly no different. Here, then, in no particular order, is a list of ten of what I consider the most useful websites about Bomber Command, all essential bookmarks. If the airman you are interested in is Australian, this is always the first place to go. It contains a database of around one million individual records, covering all who served in Australia’s armed forces (and the Merchant Marine) during the Second World War, and a nifty search engine to allow you to extract it. You can search by name, service number or place of birth or enlistment, or even by any honours or awards won. The information returned for each individual is fairly basic but offers a good starting point for further research from other sources. It will show the last unit with which the individual served, which is most useful if they were killed but can be a little misleading if they were discharged at the end of the war. The National Archives are the repository for all official Australian Government records. A powerful search engine allows easy access to the collection and many records have been digitised and are available to view on the website for free. If not yet digitised, the website allows you to pay a small fee for the service to be carried out for you – records will then be online for anyone to see. You can also order records for viewing in one of the NAA’s offices. As well as the obvious service records, the NAA holds Casualty Files for any airman who was posted missing at any stage, and other Air Force records such as Squadron papers, orders and memoranda. There’s so much stuff here that it would take a very long time to sift through everything – but every now and then you find the little golden nuggets that make it all worthwhile. If the airman you are interested in died during service, you will find a record about him at the Commonwealth War Graves. Like the Nominal Roll, the information is limited but it can provide a basis for further research, with details like parents’ names and occasionally addresses usually recorded. The advantage is that it covers any Commonwealth military death, so it will include information on the non-Australian airmen in a crew. You can even search by cemetery which can be a useful first step in deducing who else was in a particular crew, for example. 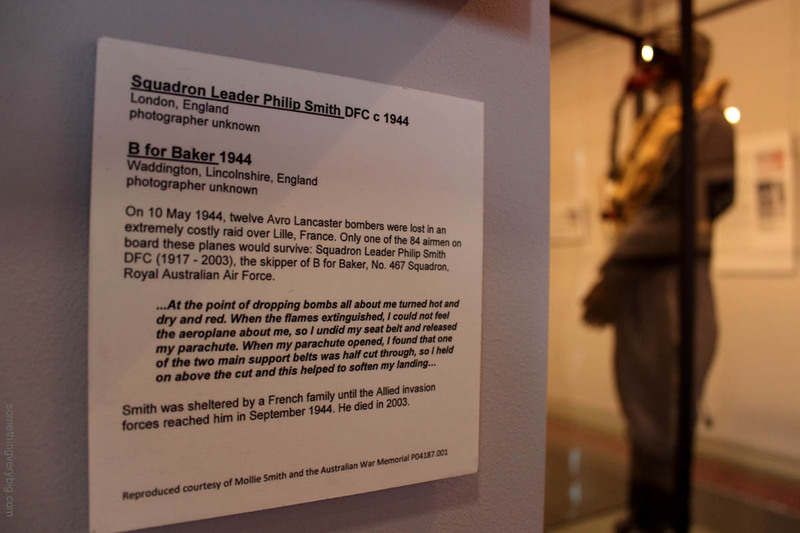 The Australian War Memorial, based in Canberra, holds significant material relating to Bomber Command. 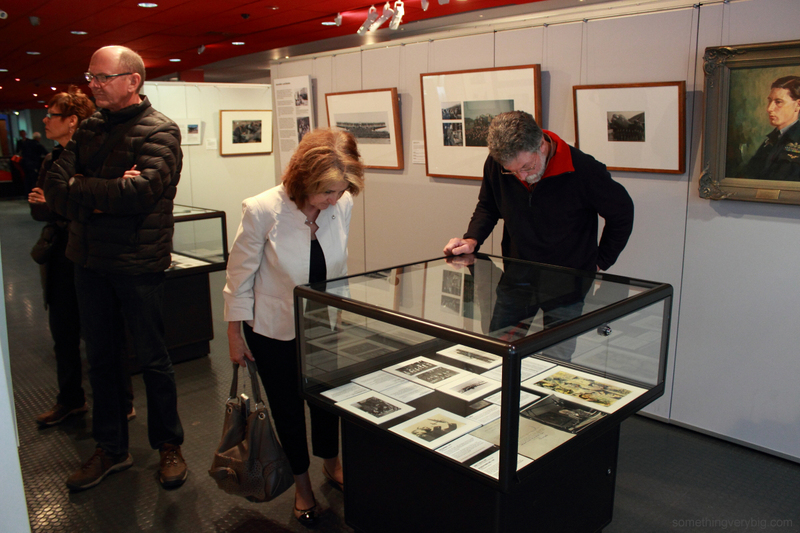 As well as information about planning a visit to the Memorial, you can find the history of Australia at war, browse the AWM Shop and, most usefully, search the catalogue of their entire collection, which contains much of interest to the Bomber Command researcher. 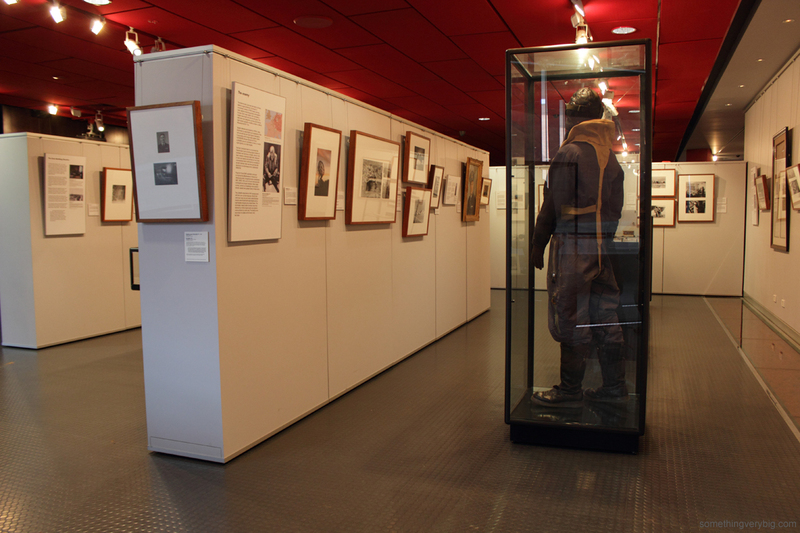 Items held at the AWM are generally of a more personal nature than the official records you will find at the NAA, including diaries, photographs and other memorabilia. This is the go-to forum for those tricky questions about individual airmen or aircraft. It’s home to a large bunch of very good researchers who are usually more than happy to dig through their records on polite request. A large cross-section of RAF interests are covered and, if someone actually on the forum doesn’t have the documents they are looking for, there’s a good chance they know someone who does. These two forums both moved to fill the space left following the demise of the Lancaster Archive Forum. The Stirling Aircraft Society’s forum expanded its focus to include all of Bomber Command, and the Bomber Command History Forum is a new site run by one of the stalwarts of the original LAF. Both are very similar in scope, and indeed there is a significant overlap in membership between the two. You’ll find general Bomber Command discussion on aircraft, individuals or tactics, aircraft modelling (with a bomber focus) and general chat. While not as ‘scholarly’ as RAF Commands, there are still some quality researchers on both these forums and even a veteran or two. This is a long-running thread started on an aviation forum by a Bomber Command veteran called Cliff Leach in June 2008 to describe his wartime experiences. 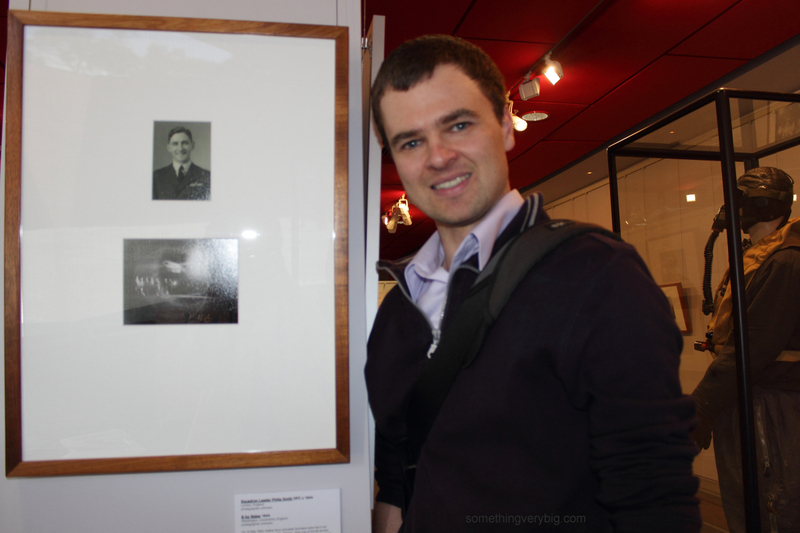 To an avid audience of military and civilian aircrew, veterans, researchers and sundry others Cliff wrote about his enlistment and training as a Lancaster pilot and also as a flight engineer, which is how he ended up flying operationally. Various other veterans joined in – like pilot Reg Levy who flew Halifaxes in 51 Squadron, took part in the Berlin Airlift, was an air traffic controller for a short while and ended his flying career on Boeing 707s – and, while both Cliff and Reg have sadly since died, now holding court in the ‘virtual crew room’ is a Vultee Vengeance pilot named Danny who continued a long post-war career in the RAF. The best part about the thread remains its interactive nature, as people ask questions and contribute to the discussion. It is a very long thread (up to 215 pages at the time of writing) but a read of the full length will, while time-consuming, give a good idea of ‘what it was like’, as written by those who were there. Growing out of a landmark Australian television series in the year 2000 and commissioned by the Australian Government Department of Veterans Affairs, the Australians at War Film Archive website holds transcripts of more than 2,000 interviews with veterans of every conflict that Australia has been involved in from the First World War all the way up to the War on Terror. 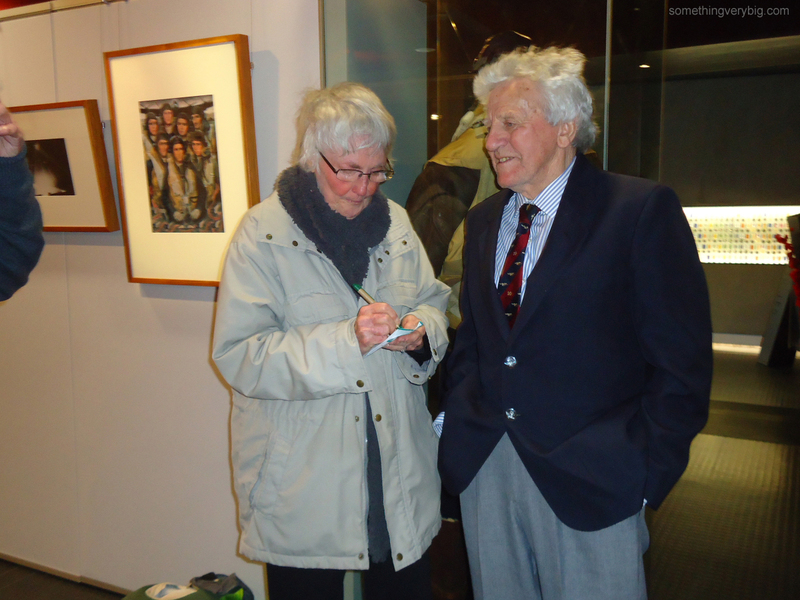 The veterans were asked about their entire lives – from growing up to their service and afterwards – and as such each interview is of significant length. Documentary makers can request footage for use in their own productions but for our purposes the transcripts are sufficient. There are at least 120 of them relating to Bomber Command and they are all worthwhile reading. A website set up by Dom Howard, the title is a little misleading as he has recently expanded to cover more than just 49 Squadron, with which he has a family connection. Dom now maintains a large collection of documents such as aircraft Loss Cards and Night Raid Reports, operational documentation like aircrew manuals and even some newspapers, all available to view online. The Loss Cards and Night Raid Reports are particularly useful for researchers looking at an individual crew and this is a convenient way of accessing them. Another personal website, this one is run by Max Williams to showcase his work on the crew of Lancaster ME453, PO-L of 467 Squadron, lost over the Dortmund-Ems Canal in March 1945. As the title suggests, it’s about ‘just another ordinary crew’ and as such provides a very detailed and well-written account of typical experiences of a bomber crew at that time. It’s a moving tribute to the crew and a testament to Max’s efforts in uncovering their story. I’m told a book is in the works. So, there are my ten essential Bomber Command websites. Leave me suggestions for ones I missed and I’ll add them to my link list. By the beginning of April 1944, the crew of B for Baker had completed their first dozen or so operations. They had been members of 467 Squadron at Waddington for three months and their last time off had been in February. Consequently all seven spent the first week and a half of April away on leave. But while they were away the war continued. I’ve been having a close look recently at the operations that were carried out during the period that the crew were at Waddington. On 10 April 1944 – the day that they were due back from leave – the rest of the squadron were part of a force of 166 aircraft that were sent to attack the marshalling yards at Tours in southern France. When I first saw the Tours raid in the Operational Record Books, I wasn’t intending to take too much time to study it closely because the crew of B for Baker were not themselves involved in it. But the Tours operation nevertheless shows some interesting parallels when compared with the operation a month later from which they failed to return, an attack on Lille on 10 May 1944. Both operations were part of the so-called ‘Transportation Plan’, a series of attacks designed to cripple the Germans’ ability to move troops and equipment around France in preparation for the coming invasion of the continent. As such, each was one of a number of attacks made on railway targets on the same nights. 180 aircraft went to Tours, but only 89 went to Lille. Interestingly, both were a little ‘different’ tactically when compared with the other raids they accompanied. While the four other raids carried out on 10 April (Aulnoye, Ghent, Laon and Tergnier) used Mosquitos to lay ground markers on the aiming point using the Oboe blind bombing aid, at Tours the marking was done visually by Lancasters under the light of white parachute flares, similar to the Pathfinders’ Newhaven tactics. 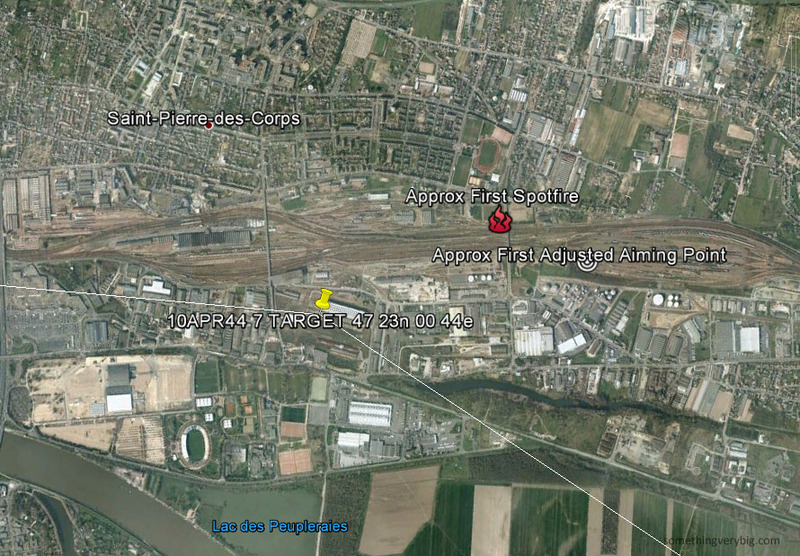 Three other railway targets were attacked on 10 May 1944, each also using Oboe-equipped Mosquitos backed up by visual flares and using a Master Bomber to control the raid (Lens, Ghent and Courtrai). At Lille the same night, however, the marking was carried out entirely by visual means. At this stage in my research I can’t establish why Oboe was used for the other raids but not at Tours or Lille – perhaps it was a capacity issue, and the expected clear conditions and bright moonlight on each night meant that a visual technique was considered sufficient. At both Tours and Lille, the first markers went down accurately. But on each operation problems arose after the first few bombs had fallen. At Tours, this was because the markers were laid on the actual aiming point itself, and smoke from the resulting bombing obscured the markers for later aircraft. The resulting delay before the target could be remarked caused some aircraft to circle in the target area for up to an hour. A new tactic was developed between the two operations so that markers were laid a short distance away from the actual aiming point, and bomb sights were adjusted accordingly so that bombs still fell onto the actual target, and Lille was the second time that this technique had been attempted. Unfortunately it failed when the first few bombs fell onto the target indicator anyway (perhaps because some early bomb aimers had not made the necessary adjustments to their sights) and it was extinguished or obscured by blast and smoke. A delay ensued, like at Tours, while the target was remarked and the appropriate wind correction was calculated for the bomb sights. The biggest difference between the two raids, however, was that while the defences of Tours failed to take advantage of 180 bombers circling for up to an hour, at Lille it was rather a different story. Few fighters and little flak was encountered on the Tours trip and only one bomber was lost. But at Lille, while the delay was ‘only’ about 20 minutes and there was slight to moderate flak over the target, the fighters put up stiff opposition and twelve aircraft out of 89 failed to return.